Indonesia is big. It consists of more than 17,000 islands. Indonesia's population of over 252 million people live on 6000 of these islands making it the fourth most populous nation on Earth. There are hundreds of different ethnic groups scattered across the archipelago which is about 1000 wider from east to west than the continental U.S.
Yogyakarta, the city where I currently live, is a special kingdom within Java and continues to be governed by a royal sultanate. It is on the island of Java. I have recently had a chance to experience some Javanese cultural events. The first was truly a special opportunity. The owner of the boarding house where a friend lives invited us to a Javanese traditional ceremony. The gist of the event is that a 7 month old baby is brought into a chicken cage where s/he gets to choose from indicators of potential futures that have been placed in there as well. For example, there might be money, books, a stethoscope or other toys that indicate desirable profession. 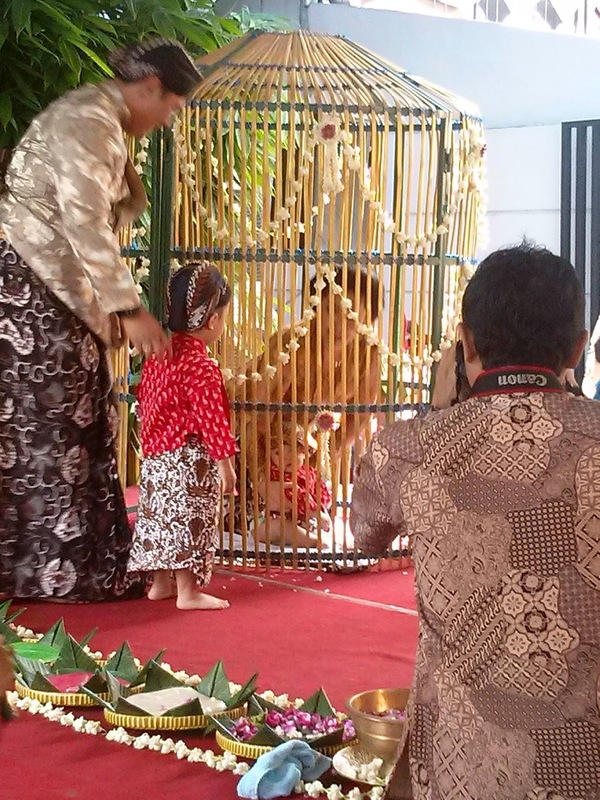 When describing the ceremony, Javanese are quick to point out that the cage is new and that the baby is only in it for a little while. This festival was huge. They took up the entire street in front of the house and also had seating areas in several other places where people could enjoy a simulcast of the main events as an MC gave a running narrative. 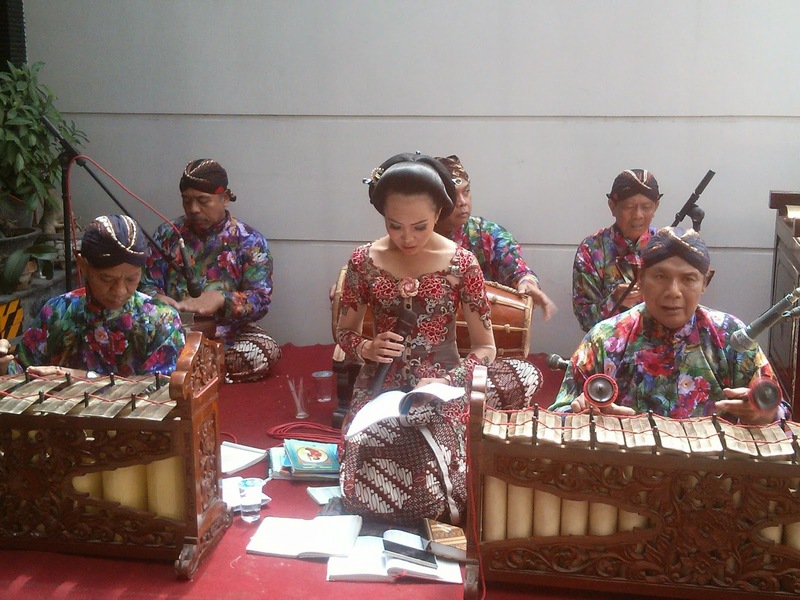 We were also entertained by live gamelan orchestra playing traditional Javanese music. And the food... 2 full buffets and individual stations of traditional Javanese foods. It was a thing to behold. Last weekend, I visited the Kraton, or palace of the Sultan of Yogyakarta. On the weekends, there are cultural performances at the royal residence. On Saturdays, they have traditional shadow puppet shows called wayang, and on Sunday, traditional Javanese dance. The royal residence is not ostentatious, but it is spacious and displays a lot of history, particularly of the previous sultan. 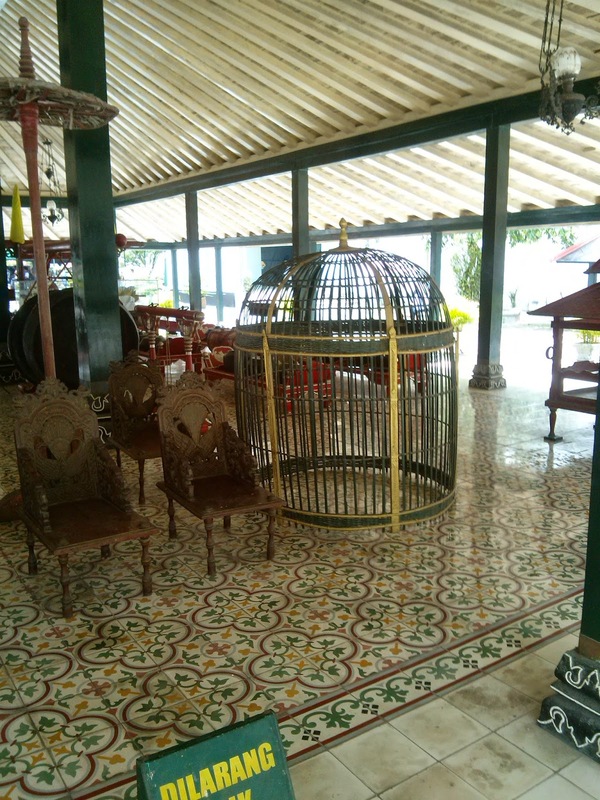 And they show many of the items used in royal ceremonies, such as carriages, instruments, and yes, the royal chicken cage. Following a turn around the kraton, we proceeded to Taman Sari, or the water palace. This was my first visit to the complex that used to be used as a recreational area for the royal family. Upon entering the water palace, you are surrounded by the smell of jasmine. 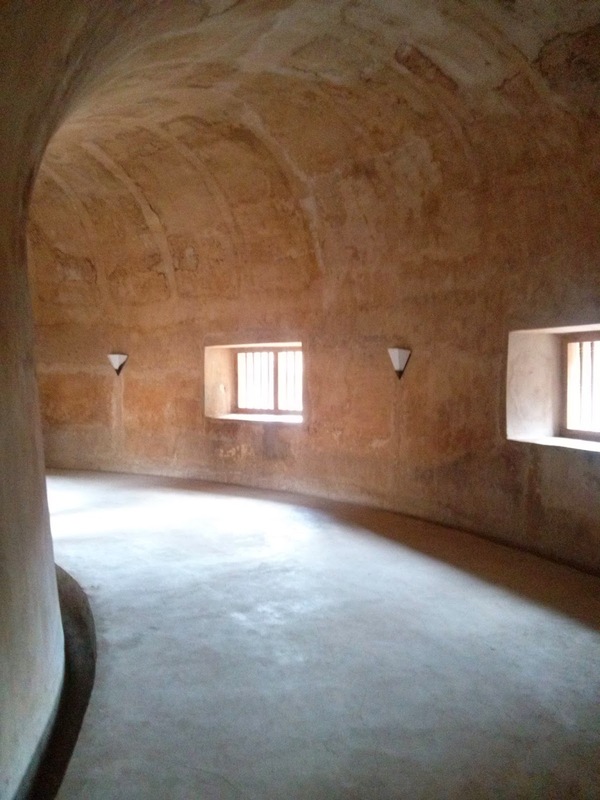 The buildings are built of cool stone and offer many dark places to hide from the heat of the day. 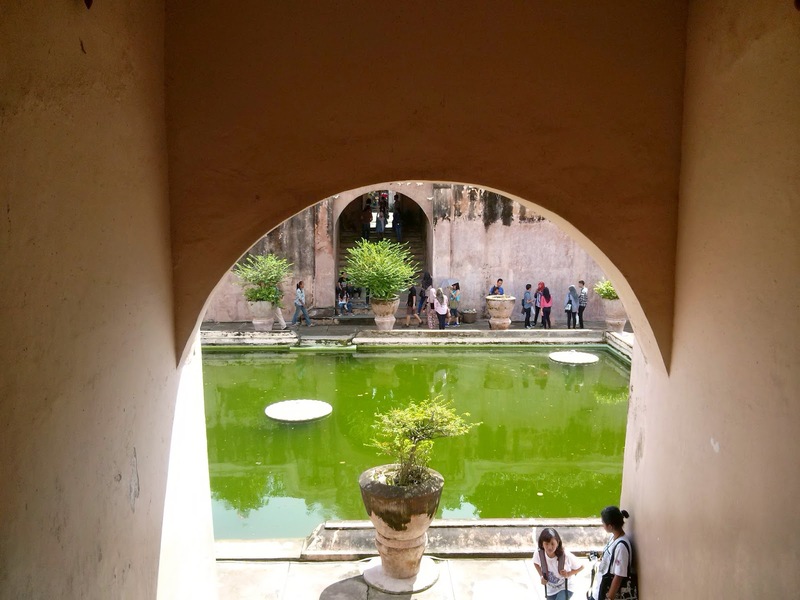 In addition to beautifully carved reliefs and pools, which are now quite green, the complex consists of a series of underground passageways and buildings. 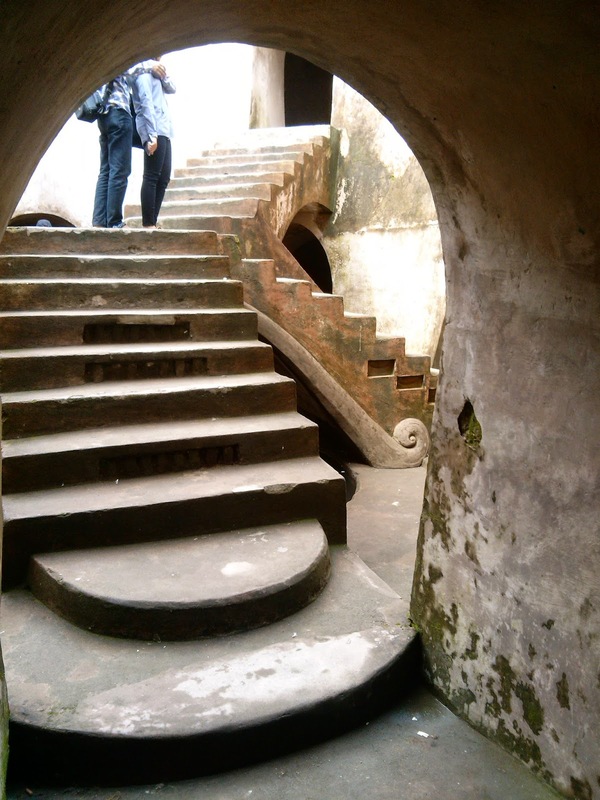 Many of the underground buildings are gone, but one of the most interesting, a 2-story, round structure at the center of which are Escher-like stairs, still exists. The passageways and the buildings have an ingenious construction that allows a remarkable amount of natural light to enter. 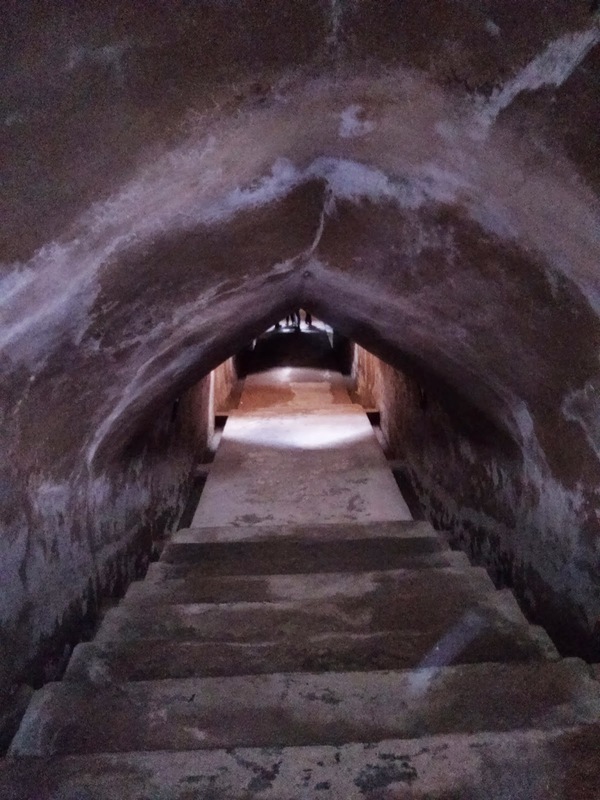 Passageway in the underground complex. A really interesting community has sprung up around the water palace. 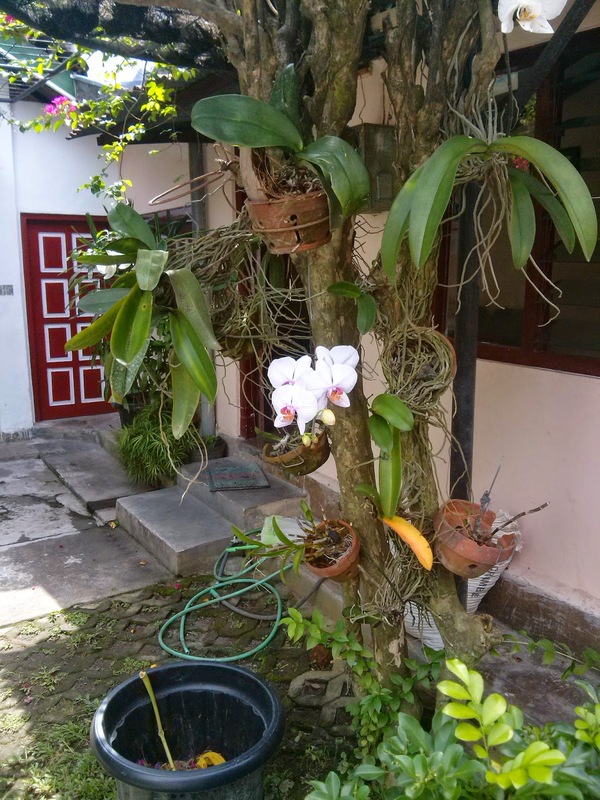 Above the underground complex is Kampoeng Cyber (Cyber Neighborhood), a tidy neighborhood of narrow alleyways that have been decorated with painted walls, potted plants and stunning orchids. The neighborhood has extensive wi-fi connection as well as numerous galleries and stores selling locally produced items. 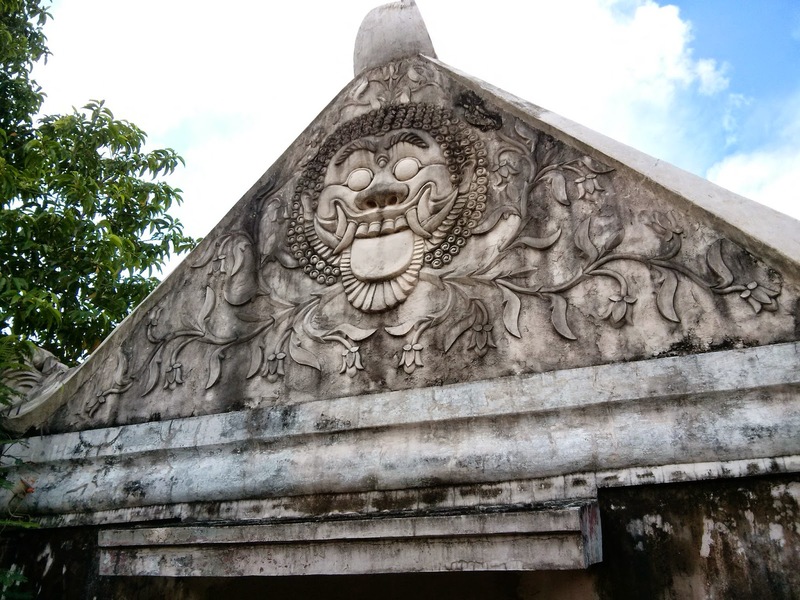 While at first Kampoeng Cyber appears to be a strong contrast to the historic and ceremonial surroundings of the Kraton and Taman Sari, I also see it as bringing Javanese culture into the future. Many of the galleries build on traditional art forms by adding modern elements. 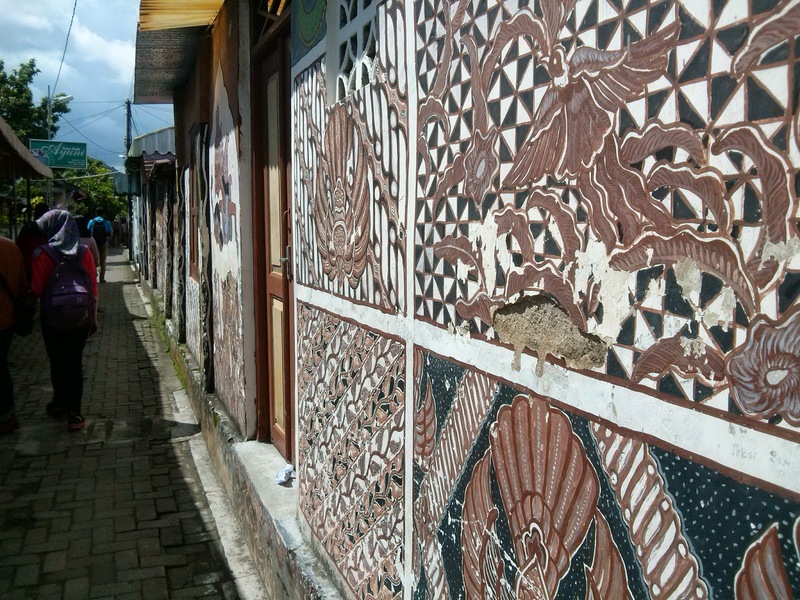 Javanese culture seems to highly value aesthetics and nature. Both of these are demonstrated in the new, vibrant community built on the foundation of a historic complex. I am a PhD student at Colorado State University. I love to bike, run, swim, race, drink beer... I am only really good at the beer drinking part.